This book will help you see that love and leadership are not mutually exclusive learn that without love, you cannot be an effective leader. The one action verb most frequently missing from various manifestos on leadership is love. 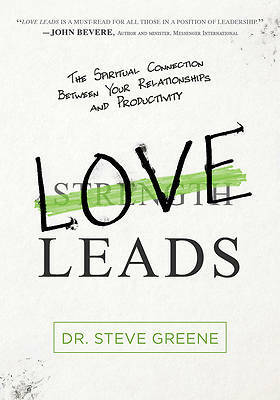 In Love Leads Dr. Steve Greene shares real-life examples, principles, and exhortations of the love of a leader. You will discover what it looks like to lead with love--is there a process of love? is tough love really love?--and you will view leadership as it's never been seen before as Dr. Greene dispels the myths and misconceptions many have come to accept about leadership.